“As an industry, we’re grappling with the consequences of moving to the container-based approach to building applications,” said Simon Bennett, Bitnami’s vice president of products, in a company presentation published in December. “Whether that’s isolating pieces into smaller subsystems, so that they can be tested, integrated, managed, and developed independently, or a more radical, microservices-based architecture, I think we’re in the midst of a shift where people are figuring out, what does this mean for my development team? It’s exactly what happened at Bitnami itself, as Bennett admitted in a recent interview with The New Stack’s Alex Williams. “We’ve been packaging open source and commercial applications in a range of formats, for a range of platforms, for a very long time,” said Bennett. “I think there are a couple of nice things about the container-based approach, the first one being, through the container images, you have an immutable unit of deployment. That’s a really nice, convenient abstraction, both from a developer point of view and from an operations point of view. “We were doing a lot of this work internally and somewhat manually, but realized it would be generally useful for other folks,” said Bennett. The recording is also available on YouTube. While Bitnami managed to reproduce many of its own internally requested features, as the customer-facing service we now know as Stacksmith, Bennett’s statements to us suggest a realization on Bitnami’s part that we don’t live in a world anymore where applications — the way we used to consider them — can be just installed and run. The type of productivity Simon Bennett talks about here is really the same type Bitnami has always offered: packages of pre-configured components that organizations have always known to be applications. For some of these customers, containerization may not be so much of a game-changer as an added secret ingredient — the “miracle booster” that gives their applications that extra added kick. Never mind how it works. 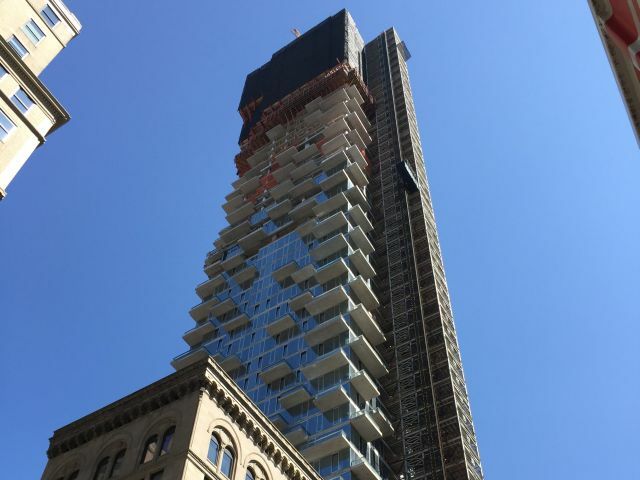 Feature Image: A building under construction at 56 Leonard Street, Tribeca, New York by Justin A. Wilcox, used under Creative Commons 4.0 license.